Greetings to you all and as the holiday season approaches, I wanted to wish you and your family a holiday season. I wanted to send out a my Q4 Real Estate update before you all head out for the holidays. In my 8 years in this business, this year may rank as the best year in my career. I am blessed and thankful for each and everyone of you who continue to refer me to your friends, family and co-workers; over half of my business was from you as my clients referring my name. Again thank you all for remembering me when it comes to your Real Estate needs. The market has unfolded as I predicted in 2010. Whereas in 2010 School Sensitive Buyers were buying, this year ALL segments are buying. If you recall earlier this year I said that 2011 is the last year to buy for those of you that wanted to take advantage of the downturn; that bottom has longed passed. Multiple Buyers of mine are looking very hard, but not finding much to buy. Inventory supply levels are low and Buyer demand high. Economics dictates that this means we are in a Seller's market overall. Many of my Buyers are shocked when I say this and the tough lesson gets learned when low offers get rejected while more reasonable offers get accepted. We are in a new market unfortunately so do adjust your expectations accordingly going into 2012. My hope is that there is more inventory in the new year to meet this demand, however right now we are entering a slow period with Thanksgiving and Christmas, so I am expecting inventory levels to remain low. There has been a surprising come back of Townhomes! My customer segments that do not prioritize schools as high, but rather want to live in a newer town home close to work have taken flight. I think this is a good call as Town homes have been a bargain buy from peak, so much so that there are low inventories in this class of property as well just over the last few months. Remember that property tax is due on 11/1 but you have until 12/10 to pay them without a penalty. After 12/10 penalties will apply. Here are the links to your respective counties accessor sites. You usually can search by your address but if you need your Accessors Parcel Number (APN) let me know! I am very excited to announce that I will be featured on House Hunters around the May timeframe next year! We just wrapped up 4 full days of filming a few weeks back, with some finishing touches in November. This will air on HGTV. For those of you that are not familiar with House Hunters, initially they start with the Buyer requirements, I show my client 3 homes and go through the pros and cons of the home. They then weigh the pros and cons then they select the home at the end of the show. Since I announced this, I couldn't believe how many people watch this show! I'll send more details once I get the exact air date. It's been a ton of fun to dabble in acting and even more exciting when you don't need to act, they let me be myself the way I usually operate. Welcome to reality TV! On October 1st, the Conforming Jumbo loan went away and today a Conforming Loan in Santa Clara/Alameda/San Mateo County goes for loan amounts less than $625,500 while the Jumbo loan are loans above $625,500. For those of you that are buying over the $1 million dollar mark the variable second loan has returned for the delta between $625,500 and the loan amount that you need. - There is a subdivision of 4 brand new homes I've been watching for over a year. It's located in Mountain right on the border of Varsity Park/Los Altos border going between $1,278,000 to $1,358,000 for 1,800 to 2,000 square feet. The schools are Mountain View schools though but an opportunity nonetheless. Let me know if you are interested before they are released. - There is a new Townhome development in which I really like the 3 and 4 bedroom models in the middle of the Bay Area, great location, 2 of my clients bought already, ask me about them! - 5117 Fioli Loop in San Ramon earned my fastest close ever in 14 days! We were $50,000 under market price and $25,000 under the appraisal price, great deal! - 10220 Sterling Blvd in Cupertino - Sale Pending a lovely brand new home development boasting 5 bedrooms, 5.5 bathrooms, stunning! - New Townhome development closed, bought in the first release and lines continue for this lovely model! If you have thought about selling your home in 2011, do contact me so I can assess where you live. I generally would not advise selling during the holiday season but depending on where you live, this market may allow you to do so and close fairly quickly. Buyers, do expect low inventory at this time which means getting a "deal" most likely won't happen, "multiple offers" is more likely. We have to deploy different strategies in a new market. Not all areas are showing low inventory levels. I've noticed Santa Clara, parts of West San Jose bordering Campbell/Santa Clara, Campbell, Fremont, Belmont, San Ramon seem to have Single Family Homes that have been sitting on the market for a longer period of time than usual. Some of these may need some work, but that is a way to get an under priced home and pour some investment to fixing it up. Looking back at Q2 of this year, real estate activity was already equaling that of the entirety of 2010. What is even more amazing is that Q3 has kept me busy beyond what I had imagined and there is no end in site. The bottom line is that Buyers are buying and not enough Seller's are selling. Real Estate in the Bay Area has been on fire to date. We are in the heart of technology and this sector is leading the US economy. Anything social was getting funded this year with most of them founded in the Silicon Valley. A foreign investor told me that it seemed that the United States showed activity in New York, Los Angeles and the Bay Area while the rest of the United States is stagnant or in decline. I would agree with this assessment. We live in a unique pocket with Buyers and Sellers taking advantage of the low interest rates across the country to fuel this micro economy that we all live in. We have always had low supply in the Bay Area and there are new migrants of Tech workers arriving here for work everyday with the dream of home ownership. With the upcoming Technology IPO's there will be more money flowing around the valley and real estate will be on the top of minds. Analyzing Single Family Homes in Santa Clara County, since December of 2010 there has been a non-stop tight race between Pending and Active home sales. Recently Pending homes have been exceeding Active homes which explains the overall low inventory level of homes I've been seeing. Analyzing Condominiums and Townhomes, since February of this year Pending homes have been exceeding Active homes again showing a clearing out of inventory in that class of homes as well. Overall low supply and high demand is causing the return of multiple offers and I had to stand in line at a new home development on the release morning. It's not the year 2000, but it is slightly reminding me a little of those days. The US downgrade and concerns on Europe are causing much uncertainty in the market place. The stock market has been in a free fall so we'll have to see how this shakes out. However, there is good news, I've seen interest rates go further downward in the last few weeks. An article today stated that interest rates are the lowest in 50 years. Also the Fed has indicated it will keep rates low as well to try to send some security to the marketplace. The question specific to the valley is how will factors of the Macro Economy affect Venture Capital funding into technology start-ups and ultimately affect companies looking to liquidate and enter the public market place. Also how does consumer spending as well as enterprise spending affect companies in the valley from a Revenue and Cash Flow perspective. This will all trickle down into how much the average worker like you and I have to spend on housing. I do wish our politicians would be able to compile and execute a viable solution to our debt problem but it it not looking as if this is the case. - There is a subdivision of 4 new homes I've been watching for over a year. It's located in Mountain right on the border of Varsity Park/Los Altos border going between $1.15M to $1.4. The schools are Mountain View schools though but an opportunity nonetheless. Let me know if you are interested before they are released. - There is a new Townhome development in which I really like the 3 and 4 bedroom models in the middle of the Bay Area, ask me about them! Again it is thanks to your trust and referrals that Keller Williams awarded me the Top Associate in Closed Volume, Closed Units and Written Volume. Thank you for all your support over the years and I continue to look forward to supporting you in your Real Estate needs. I always like to give my clients real data from the market so you can gauge for yourself how things are going. - 1343 Sarita Way in Santa Clara - This listing was in Sale Pending when the kitchen caught fire and we had to re-model and repair the inside. The local mailman went beyond the call of duty and saved the day! Check out the video! http://sanfrancisco.cbslocal.com/category/watch-listen/video-on-demand/?autoStart=true&topVideoCatNo=default&clipId=6079667. Happy to say that after all the re-modeling and coordination, the home is now SOLD! There is a-lot of uncertainty in the global economy over the last few weeks which is some cause for concern. Up until that point, Bay Area real estate was recovering nicely in Santa Clara County especially homes close to companies. Inventory remains generally low. We will have to monitor how the Macro Economy affects our Micro Economy. My advice if you have a stable job take advantage of the low rates and get out of that increasing monthly rent. If you are a homeowner call me so I can assess where your home is at and whether you should hold steady or sell at this time. Again thank each and everyone of you for your business over the years and all the referrals you have entrusted me. Wonderfully Located Upgraded Townhome in Santa Clara for a Great Price! Largest upgraded floor plan just steps from the pool. Elegant kitchen with newer cabinetry, granite counter tops, pergo floors and two-toned paint. Location, Location, Location! Quietly Positioned at the Center of the Community Steps From the Pool! Fellow Realtors and real estate enthusiasts. I'd appreciate some help in filling out a survey for my MBA course. The survey link is here, please forward this onto your real estate contacts. I appreciate all of your help! 3 years ago I tried to move from a PC to a Macbook and I struggled to the point of utter frustration. 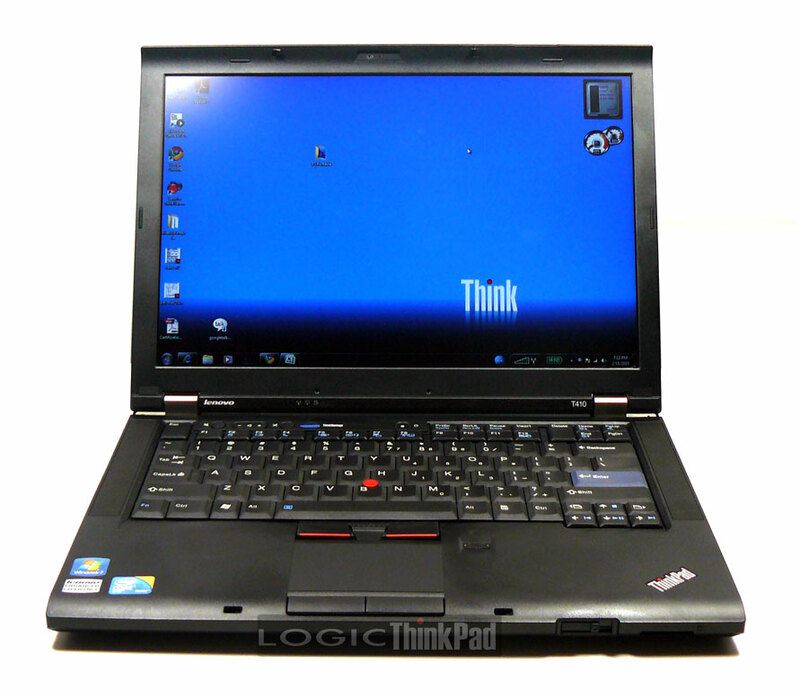 Folks know me as a pretty loyal PC user especially towards IBM Thinkpads. It was easy to fallback on the comfort of what I've been using since I was a child (yes DOS CLI and Windows 3.1 onward). It seems that it is harder on folks who are used to Windows than someone that starts fresh. This time around I requested a Mac expert to give me a 15 minute quick start and I have to say that was invaluable. He showed me the equivalents on Mac; Explorer = Finder, System Preferences = Control Panel and the Applications folder. Also more importantly all the shortcut keys fn F8 - F12, etc. Another useful one is the Ctrl right bottom corner of the mousepad to right click. Figuring out the 2 finger scrolling and and 3 home and end scrolling really sped up my user experience. Then of course Mail, Calendaring, IM and VMware access. 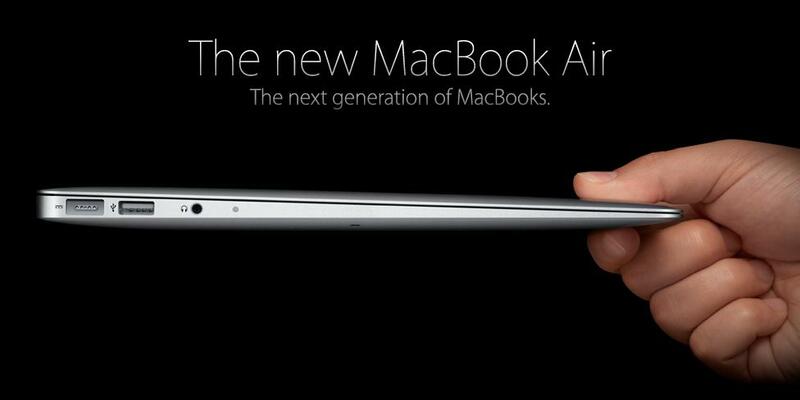 With this quick start, the ease of us of the Mac took itself away. Right off the bat as I had my PC and Mac side by side, the Mac's multi-tasking ability (thanks to the good old Unix backend) is superior to the PC. On multiple occasions my PC was frozen and rebooting, the Mac continued to run seamlessly. We'll see in the long run if it can sustain this level of performance but so far so good. Since more and more applications run on the web/cloud/saas, there is less of a need for me to have windows specific software, though the ones I need all have a Mac installation. - Printer Setups - Very easy on any printer on the network including home! - VMWare Fusion - I almost defaulted back to Outlook on the VM but found that iCal and Apple mail perform sufficiently so that I don't need to use calendaring or fallback to Outlook. Remember it's fn + control + alt/option + delete to unlock the desktop to login. I have not had a need to use the VM. But the VM provides a very nice native feel to using Microsoft application if a need ever arised. You could also allocate one of your workspaces for your Windows applications if so desired. I will be keeping the MacBook Air and saying goodbye to my PC, I don't think that I can ever go back. It's a whole new world! I wanted to wish you and your families a Happy New Year! I first and foremost wanted to thank each and every one of you for your trust in your own transactions as well as your referrals. It is because of you that I am able to sustain this business through very difficult economical times. The first question I am typically asked is the status of the Bay Area real estate market. Most people expect a pessimistic answer but they are often surprised by my reply. I continue to see 2 markets; areas with good school districts and areas without. Many of my clients have been competing for homes in Los Altos, Cupertino and Mountain View and each time I have been met with 5 to 10 offers on these homes extending beyond the list price. Even homes with high API elementary schools have been competitive, with low overall inventory levels for these locations. On the other hand homes not supported by schools have generally seen less activity especially town homes and condominiums. Interest rates saw some lows down to 4.5% for conforming jumbo loans, but have now increased in the last 2 weeks closer to 5%. It will be interesting to see what interest rates will do in the New Year but still very attractive interest rates nonetheless. It is unclear why the mortgage rates are on the rise, some are tying this to the recent action by the feds that Ben Bernake calls "Quantitative Easing" which was supposed to help the economy but maybe having the opposite effect on rates. We will look towards 2011 to see what the rates do. The bottom line is that if you are living in one of these locations supported by a great school district it is a sell opportunity. If you are looking to buy in one of these locations, don't expect a deal, come in strong on terms, price and be able to close fast. If you are living in a location that is not supported by schools or in a condominium or townhome, I would generally say hold for now, unless you have a ton of equity we can evaluate your situation. If you are a Buyer that is looking to purchase in a non-school supported area or a townhome or condominium, this is a great buy opportunity. These are general trends I am seeing, be sure to meet with me to analyze your particular home situation. Buyer's will continue to pursue homes in good school districts as they always had, however most recently my Buyers of the second market have began to inquire on homes. I expect that in 2011 both markets will continue to purchase real estate and lead the Bay Area market through a slow recovery. If you, your family or friends have any real estate needs please don't hesitate to contact me. I am always ready to assist you in any way possible. I wish you a prosperous 2011!